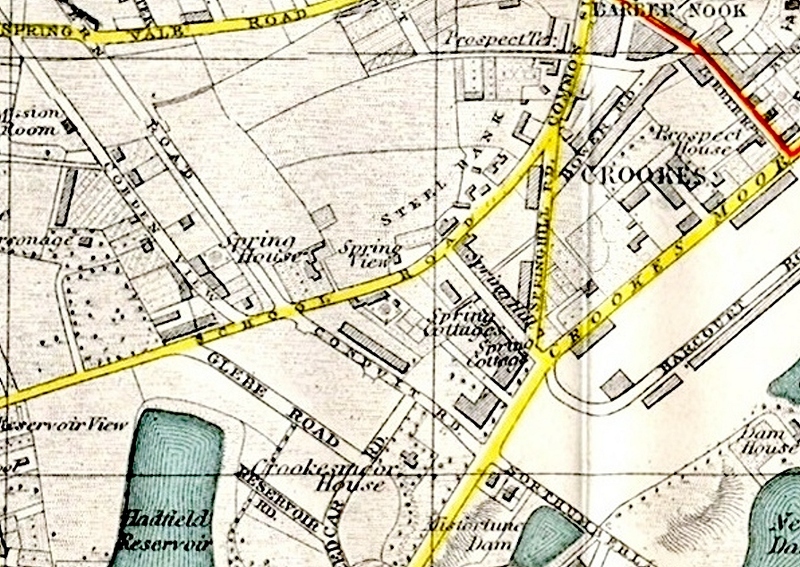 Click on a square to view the pre-1900 map of that area. Excellent work; Well Done Sir. Having studied this map in detail for the first time as a result of the interactive map, I question the pre-1900 date. There are four sections of tramway marked on the map which were not built until 1904 (Wolseley Road, Shoreham Street, the Paternoster Row and Furnival Street line and Queens Road from Leadmill Road to Queens Road depot). I question the pre-1900 date. There are four sections of tramway marked on the map which were not built until 1904 (Wolseley Road, Shoreham Street, the Paternoster Row and Furnival Street line and Queens Road from Leadmill Road to Queens Road depot). Excellent, constructive critisism with evidence to back it up - exactly what this, and every other posting needs. None of us are "the expert" at any of this, just people doing our best and your comment Madannie77 makes us all think a little more. Thank you. And thanks to you all for your appreciation of what was, for me, an enjoyable exercise. You jest; most of us don't have a clue how you do what you do here, same goes to Stuart and Jeremy. I don't know about Steve but I'm just happy to have played my part (early on) in what has become a wonderful resource. Trying to pin this map down to a closer date I would point out that Westways School (Western Road-Crookes) is not on this map. It was built in 1903 given that was the probably the foundation date I am not sure when it should start appearing on maps. But if this map was circa 1905 would it not be on this map with Mona road as well? well worth taking a closer look into that. And Welcome to Sheffield History. with gardens or allotments at the rear. Just to the east stood Spring Villa (1890). We used to live on Mona Avenue (formerly Gillott Street) in the 70's & 80's. At that time the plot immediately east of Ainsley Road was occupied by Jewitts bakery. This bakery incorporated the remnants of a large old house if my memory serves me right. I think that this may have been the Spring Villa shown on the other maps. Jewitts used to have a sales shop on Crookes and I believe others elsewhere. The bakery was demolished during the eighties, I think, and housing erected on the site. I can even see my house opposite the the bakery of Thomas Jewitt and Son across Ainsley Road. Apparently a lady living near by told my wife that where our houses 181-185 school road are used to be some lovely old cottages - I will have to stop her next time I see her and find out more. Is this map working for anybody else? It won't work for me. I get the following error : The specified application has been disabled, which is nice. I've just tried to re-insert the links to the separate map sections and started with the top left hand section. paste into Google map link and save. The link now takes it to the top of that map page ?? 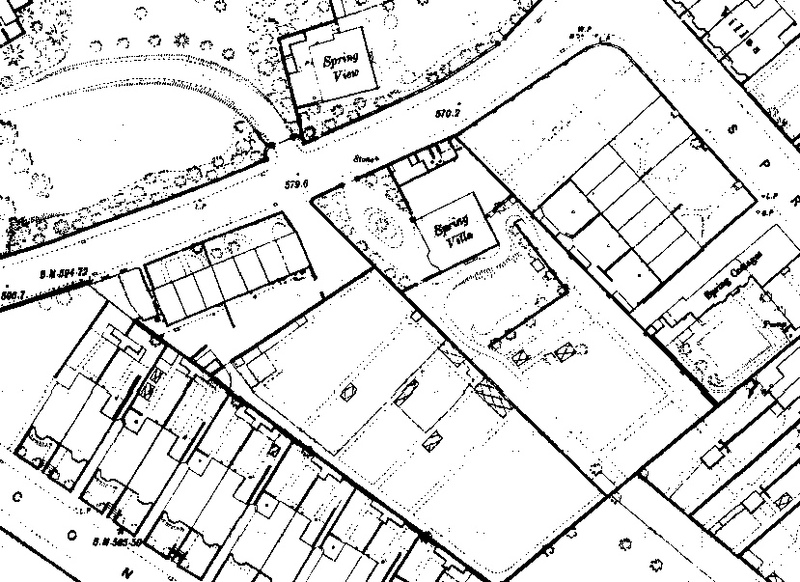 Strange that Bacons pre 1900 map shows Rivelin Valley Road quite clearly, strange that considering Rivelin Valley Road was constructed in 1907. Just checked and Rivelin Valley Road is not on the Bacons map. www.sheffieldhistory.co.uk/forums post #12, map 01. Not working, just say's the page you requested doe's not exist.. I got a PDF from all the links that come up apart from North and North West which gave the results that you got. I haven't been able to sort out the missing maps from the interactive map above yet, but the nine individual parts of the map can be seen and downloaded at https://www.sheffieldhistory.co.uk/forums/topic/4458-other-mapsplanslayouts/?do=findComment&comment=25234. Scroll down past the street index.